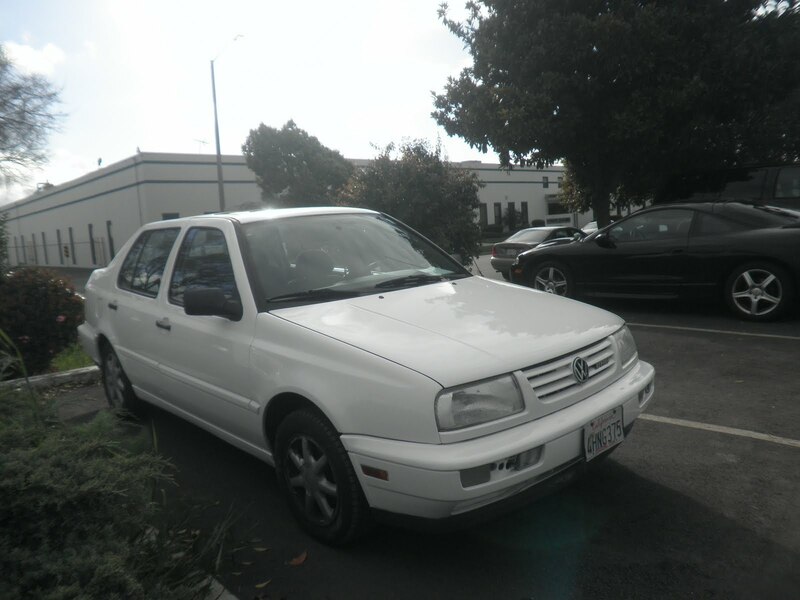 Today's Car of the Day is a 1997 Volkswagen Jetta VR6 that came in with collision damage to the front end. The customer replaced the radiator support, ac condenser, radiator, hood, hood hinges, hood latch, front bumper cover, right fender, left fender, right headlamp, left headlamp, and front grille with used parts. After installing the parts the customer brought it to us for minor dents on used hood and deep gouges on the front bumper cover. Almost Everything Autobody repaired these areas and sanded the entire car for paint.